Video from KITV - Tantalize your food palate for a cause! | This Morning - KITV Home. Chef Ronnie cooks up Big Island Beef Loco Moco, Foie Gras Fried Rice, Sunny Side up Quail Egg on KITV morning show. Saturday, April 13, 2013 * 5:30 p.m.
Other tasty offerings will include Eat Honolulu’s Chocolate Bacon, Chocolate Shop Wine, Pinnacle Chocolate Vodka and Kona Brewing Company’s specially brewed chocolate beer. A Chocolate Garden featuring cacao trees (from which chocolate is grown), chocolate orchids and chocolate mint plants, plus the Coco Café & Tea House. Guest speakers and educational displays will share information about locally grown cacao and how it is transformed into chocolate. There will be live musical entertainment by the Hot Club of Hulaville and hula performances. Event is February 25th, Saturday, from Noon to 5 p.m.
Tiki's Grill & Bar was happy to host some pau hana parties for visiting and local Halau that participated with the International Waikiki Hula Conference. The International Waikiki Hula Conference offers the rare opportunity to come to Hawaii to learn, share and experience hula in the land of its birth, with a variety of respected hula masters, many of whom do not travel outside Hawaii to teach. For our local hula people, it is the chance to enrich their hula experience from many sources in one place, and to meet fellow dancers and kumu hula from around the world. 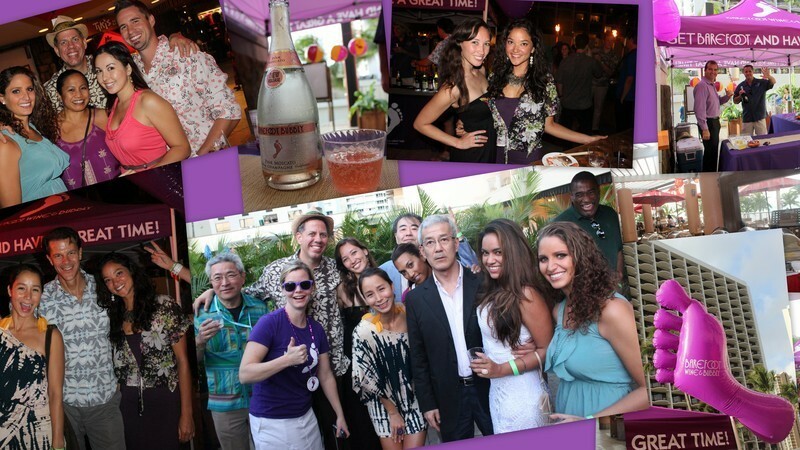 The Aston Waikiki Beach Hotel is a proud sponsor of the International Waikiki Hula Conference. Workshops cover all types of hula, from ancient to modern, and also encompass hula-related arts such as lei and implement making, hula songs and ukulele playing, chanting, Hawaiian language pronunciation and fine aspects of hula dancing itself, such as posture, basic footwork and use of hands. A wide variety of hula traditions are represented and taught. In designated "Ho`ike" workshops, conferees learn a hula they can dance that night in a hula show presented by their workshop kumu and halau, at public stages throughout Waikiki. Seminars feature special presentations by hula masters and cultural experts, thought-provokong panel discussions, and may encompass hula history, costume, protocol, music, etc. There is something to excite all participants, from beginners to advanced hula dancers.